For travelers who find joy in exploring the deep and have taken scuba diving courses, going into places popular for diving enthusiasts is the next step to master the skill and see the most of the world’s underwater treasures. From Egypt to Australia, there are plenty of destinations to visit, and we picked the most awesome diving locations that will not only delight you with an unforgettable underwater scenery, but will also allow you a great vacation when you are in the dry land. Can’t wait to wear your diving gear and take the plunge? We listed 6 of the best scuba diving spots every diver should not miss out. The Red Sea is known for its narrative in the Bible wherein its waters was parted by God to let the Israelites pass while being chased by the Egyptian armies. The Red Sea offers plenty of stories to tell, but more than that, it is considered as one of the best diving locations in the planet. With its warm waters, vast beds of corals, colourful schools of fishes, and a wide availability of diving instructors, the Red Sea is surely an excellent spot for beginner and advanced divers. 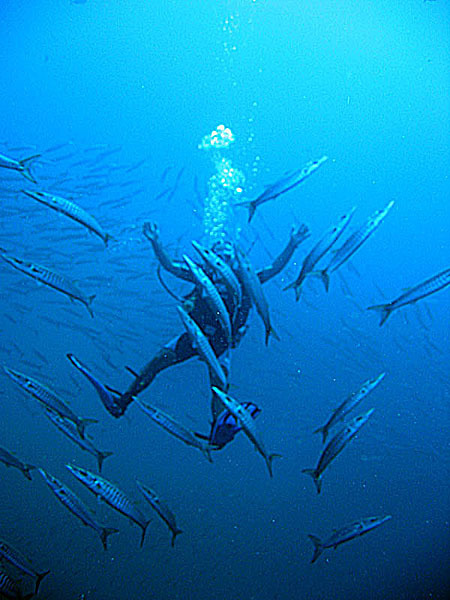 Diving in the place is good all year round, even during the winter (it is actually the most popular time to visit). Also, if you love adventure, there are other activities in the place to participate with! Go and climb the historic Mount Sinai, marvel with the world class resorts and hotels in Sharm El-Sheikh, ignite your spirituality with a meaningful tour at Saint Catherine’s Monastery. The islands of Turk & Caicos is a popular scuba diving destination since the 70s. It offers calm and clear waters with untouched reefs, colorful marine life, deep drop offs, and picturesque dunes. Many of reefs in the place are close to shore and shallow, allowing snorkelers to enjoy its underwater delight as well. 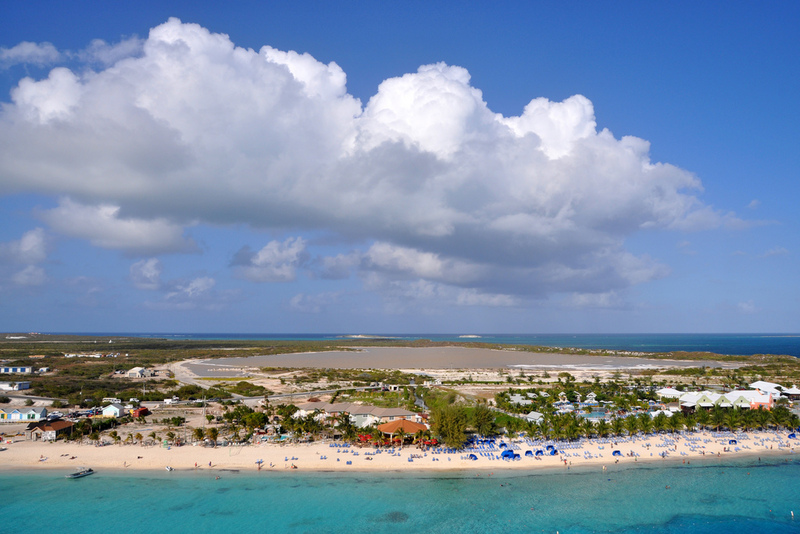 If you are planning to visit Turk & Caicos, the water is good for diving all year round. To those who want to make the most of their trip and do Humpback whales spotting, come over from December to March. This destination is perfect for people who are looking for a serene beach vacation, a seclusion from the Caribbean crowd. The Island of Koh Tao in Thailand is one of the best diving destination in the world with numerous locations to choose from. The Japanese Gardens in the island is very accessible for divers, offering an impressive array of underwater creatures like marbled emperor angelfish, butterfly fish, multi-coloured corals and more. The beaches of Thailand is also a great getaway if you are planning to bring the family. You can get the best value for your money and enjoy a lovely travel experience. 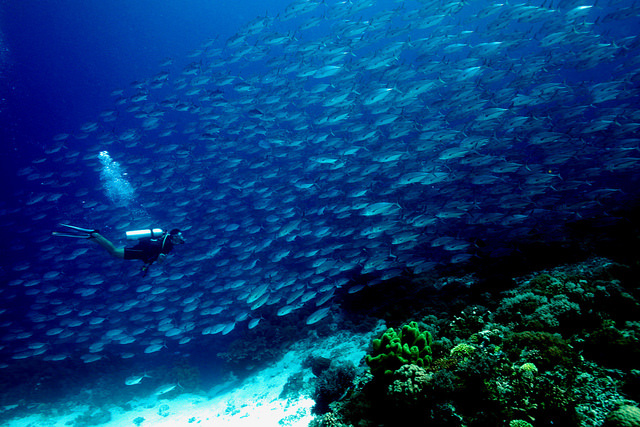 Tubbataha Reefs Natural Park is a UNESCO World Heritage Site. It is one of the best diving destinations in the Philippines for the environmental conscious divers with an astonishing diversity of corals and marine family all in a majestic underwater sanctuary. Getting into the reef adds up on the challenge due to its isolated location. Divers have to ride a liveaboard boat from Puerto Princesa, Palawan’s capital, to reach the diving spot. But rest assured that the long ride is all worth it. There are plenty of enjoyable adventures to try in Palawan, but most of it cater for people who wants to experience nature’s wonders. You can go firefly watching, caving, dolphin watching, or joining a tour in the popular Underground River. 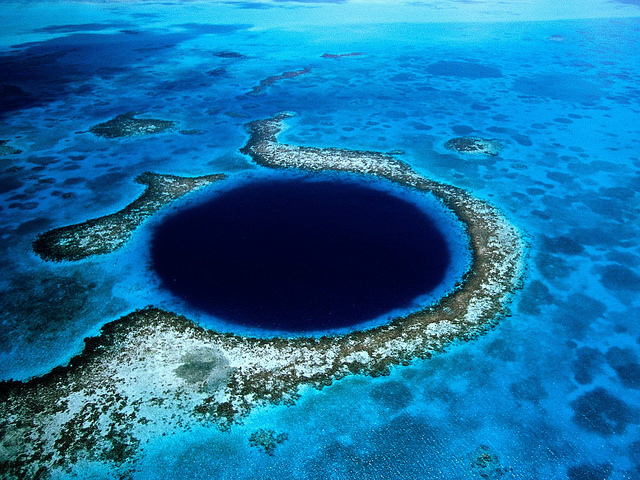 A product of nature’s extreme architecture, the Blue Hole in Belize is truly a spectacular sight. But more to the perfect circle from the outside, what lies in its deep is truly a marvel. The barrier reef found in the place is the world’s second largest and is home to an immense number of sea life from tiny fishes to groups of sharks. Underneath its crystal waters also lie a collection of stalactites and stalagmites. On the other hand, the Blue Hole is best for advanced scuba divers alone. With depth of 124 meters, beginner divers should improve their skills more to have a chance to navigate in its underwater grandeur. 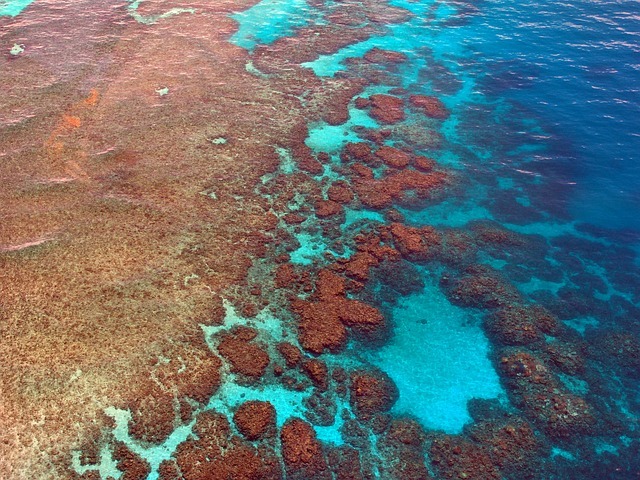 The reef visible from space, every diver should get a chance to be amazed with the mind-blowing underwater treasures of the Great Barrier Reef in Australia. 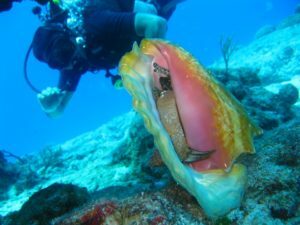 The reef is definitely for the most adventurous with more than a thousand of shipwrecks and thousands of fish species. It will take a lifetime or two to explore all of its marvellous wonder. Learning how to dive is a skill that pays off greatly. 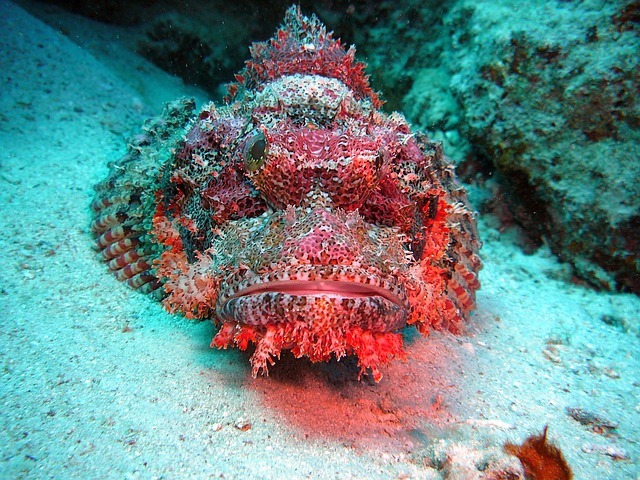 Discover the wonders underneath the seas, plan your scuba diving holiday today!